Today’s guest post comes from Shawn Seamans, President of McKesson Life Sciences. Shawn discusses the channel and commercialization complexities associated with launching and managing specialty medications. He then outlines McKesson Life Sciences, a business that brings together McKesson's multiple solutions for connecting biopharma companies, providers, pharmacies and payers. These solutions also help patients access their therapies. Read on for Shawn’s insights. Specialty medications, including biologics, biosimilars and gene therapies, have rapidly emerged as important new treatment options for patients with complex diseases like cancer, degenerative neurological conditions and auto-immune disorders. Drug utilization continues to shift from traditional small molecule pills to these specialty therapeutics, which now make up approximately half of the total drug spend in the U.S.
Pharmaceutical innovation over the past 40 years has driven supply chain scale, automation and efficiency, which has sufficed the needs of the traditional small molecule pills. However, specialty medications require very different distribution and commercial strategies. The successful commercialization of specialty medications requires proactively addressing several logistical and market challenges, including complex handling and administration, narrow networks, decreased access to prescribers and rising patient consumerism. The complexity of these specialty medications has led to an evolved distribution model factoring in capabilities such as third-party logistics, cold chain, specialty distribution centers, greater insurance requirements for high-cost drug inventory, frozen and ultra-frozen capabilities, patient level dosing and complex manufacturing. Yet, it is not enough to simply optimize supply chain logistics. Launching into highly competitive markets, biopharma companies are increasingly implementing multi-channel commercialization strategies that optimize patient access and result in more coordinated patient care. McKesson has evolved to meet this challenge, extending services beyond supply chain to drive better access, uptake and adherence to these specialty therapies. 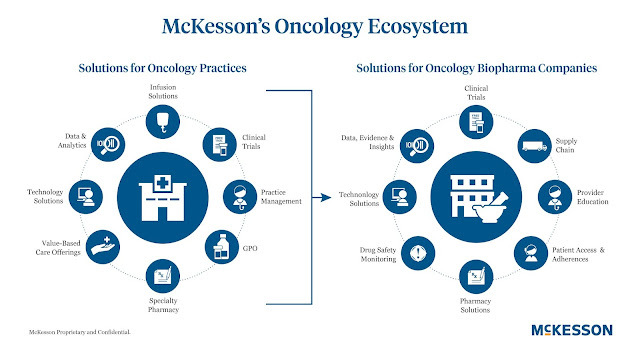 This has been exemplified in how McKesson has built holistic solutions for oncology, serving not only oncology provider practices, but also solving for critical needs of oncology biopharma companies, along the product life cycle. As we look ahead, the pharmaceutical pipeline is filled with more personalized therapies, including the highly innovative cell and gene therapies, which herald an ever more complex and challenging supply chain as well as commercialization journey. 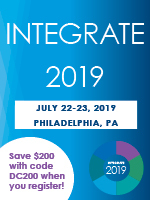 Biopharma companies will need unprecedented support to connect every individual patient to their therapy, and will need new models for supply chain logistics, drug manufacturing, patient transportation and integrated payer-provider-patient data exchange platforms. However, while complexity is increasing, biopharma budgets are not. The biopharma industry needs a partner who will help them invest wisely and deliver the greatest business impact. They need expert, custom and integrated solutions that deliver successful results with patients, providers and payers, ensuring that their medications reach the right patient, at the right time, at the right place. 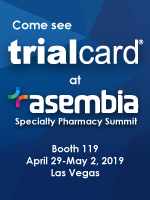 They need a strategic partner who understands how to meet and overcome challenges at each step of the complex patient journey and delivers forward-thinking insights and solutions that improve access and adherence. They need data and insights at every step of their product life cycle to help them make more strategic decisions, deliver targeted interventions and ultimately, maximize the value of their investments. 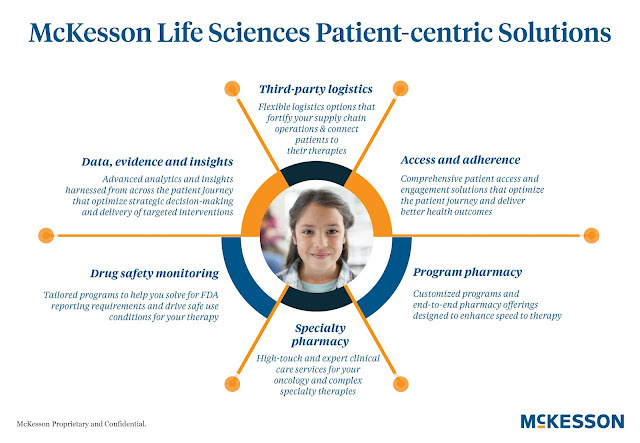 McKesson Life Sciences is the culmination of a purposeful evolution that aligns McKesson’s business assets, technology and innovations through the lens of our life sciences partners to address their evolving needs. Our comprehensive solutions help connect biopharma companies, providers, pharmacies and payers to successfully commercialize medications and connect patients to their therapies. McKesson Life Sciences leverages deep functional and therapeutic expertise, actionable data and insights as well as extensive reach across the healthcare spectrum to deliver high-touch services that enhance patient outcomes. At McKesson Life Sciences, we connect all the dots to bridge gaps in patient care, so together, we can deliver better outcomes for every patient. 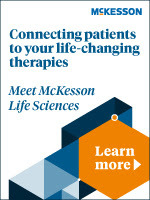 For more information, visit McKesson Life Sciences or reach us at LifeSciences@mckesson.com.